We’re Drone U, a group of guys who have turned their passion for flight into a profitable business. We love hearing from our fans, and we love helping by answering their questions. That’s why we started the Ask Drone U podcast in 2015. 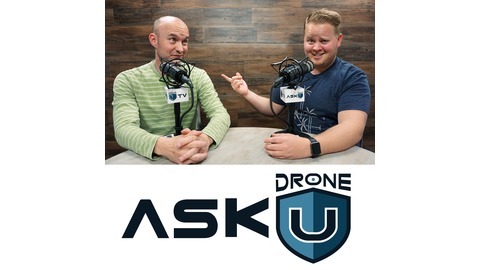 Since then, we are one of the largest, most popular DAILY drone podcasts out there. Each episode features an actual question submitted from someone just like you! We wish we could answer everyone’s question(s), but we’ll do our best to get through as many of them as we can. 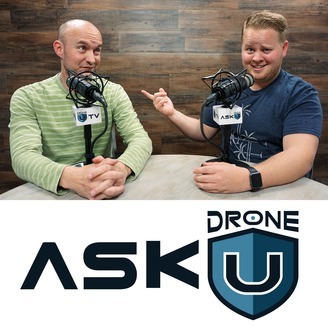 So plug in those headphones because it’s time to learn together about everything drone: FAA, insurance, business strategies, videography, drone tips, flight techniques, drone tricks, expert advice, cameras, gimbals, and so much more. #askdroneu. ADU 0969: Where Can I Fly My Drone? Should I Rely on Drone Apps for Checking Airspace? ADU 0968: As a Part 107 Pilot, Can I Use FAA’s Logo to Market My Drone Business? ADU 0967: Freefly ALTA 8 Pro or DJI – Which Is Better Option for Drone Mapping?